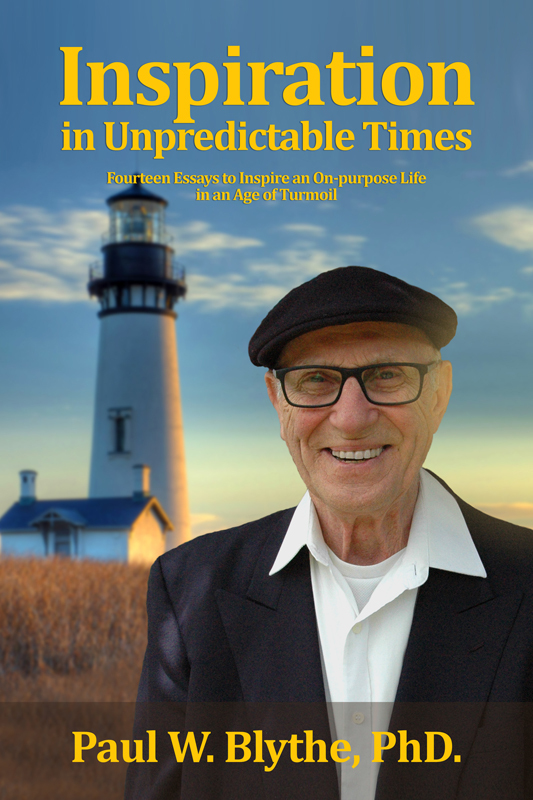 Inspired by Viktor Frankl who dared to voice the freedom for each of us to choose our own attitude, even as he faced death in the WWII gas chambers, this collection of short essays by Paul W. Blythe pays that gift of inspiration forward. Written for the generation alive now who are struggling through new, unpredictable and troubling times—through an age in turmoil—Paul offers hope for leading a life with purpose. Would you like to be notified when Inspiration In Unpredictable Times is released? Sign-up for Paul’s reader mailing list! Hi, Paul! How awesome!!!! I can’t wait to read it!